Mixer. * is a Max/MSP package for audio mapping projects. The package contains basic audio mixer objects, like channel strips, eqs, limiters, and aux sends. Mixer. * provides GUI, modular design, and pattr binding for smooth integration into your Max/MSP workflow. To get started with Mixer. *, place the mixer folder inside your Max > packages directory. Then restart Max. Inside a Max window, simply create a new object, start typing “mixer” and let autocomplete help you do the rest. You may also type shift-M to quickly access any mixer. object as a helpful bpatcher. Download the Mixer. * Max package. I also made this package a repository on github. Read my blogpost on the Korg Nano Max package. Ever since Cycling 74 introduced the idea of packages in Max 6.1, I’ve been pretty excited. Previously, there wasn’t a great way to distribute and install tools, objects, externals, media. And if you wanted to use anyone else’s tools, you had to wade through the murky collection of application directories and dump in single files–an unfailing way to ensure that you’d have to re-install these tools after a Max/MSP update. With packages, Cycling 74 got rid of the mess. Tool creation, installation, and for me, distribution is clear and simple. Even if I’m developing my own set of abstractions for nobody’s computer but my own, packages provide a platform for a confident working-practice with long-term benefits. This post is meant to outline the pros of Max packages by walking through a working example of how one can set up her/his own Max package. While I have created several Max packages since 2014, the post will outline my latest Max package, Korg Nano. It’s a basic example, two objects that comprise a software implementation of the Korg nanoKontrol USB controller, certainly enough to get one started. After downloading the Korg Nano package, unzip the file and place the unzipped folder directly into the ‘packages’ directory. For Mac users, the folder is Applications > Max 6.1 > packages. Or, you can read a short article by Cycling 74 on packages for installation. In short, packages provide global access. Autocompletion, media in global search paths, extras in the top Extras dropdown menu, option clicking helpfiles, it’s all there. What the Korg Nano package provides is a software listener for the 151 controls on the Korg nanoKontrol USB controller. The package is meant to be a plug ‘n play solution for this hardware device (and I use it for prototyping all the time). Max/MSP Autocomplete feature for Korg Nano package. The patchers folder is where you throw your abstractions and objects (not externals), including any additional bpatchers that you may have used to create your objects. Of course, if your package depends upon third-party objects, you can place them here (and within any named subfolder). For Korg Nano, there are two main objects, korgnano and korgnano.inputmenu. korgnano is built from several bpatchers, which one will see listed in a subfolder (“patchers > korg_nanoKontrol”). The media folder allows one to place images, audio, and video. This folder becomes global (after restarting Max), so you can also use packages as a way to manage media instead of worrying about “filepath” when you move from computer to computer. Since Korg Nano is a software implementation of the USB hardware controller, I used image buttons that simulate the look and feel of the hardware controller. Placing images in the media folder ensures they will be found, regardless of what computer I am using. The help folder is exactly what one would expect. Help files ending with the extension .maxhelp. While help files are useful (e.g. option-click an object to access its help file), Max packages allows one to provide some serious help to the help files. This helpful power boost comes by way of the docs folder. Korg Nano help file that looks like a standard Max help file. The docs folder contains reference files that enable hover tooltips, documentation window text, uniform descriptions, and fancy descriptive break downs and object links from within the reference window. To understand what is happening in the help file screenshot above, let’s dig into the docs folder. Navigate to the “korgnano-0.0.1 > docs > refpages > korgnano > korgnano.inputmenu.maxref.xml” file. This xml file contains all the descriptions that get pulled for the help file. While this file contains confusing html/xml style tags, one need only look to two examples to see their power. The first example comes from the first two xml tags <digest> and <description>. These two description tags show up in the Autocomplete menu, the documentation window, the reference window (outside any help file), and the help file’s title object (actually, a jsui object that uses an application Max script “helpdetails.js” to parse these xml tags and display them for clean documentation). The second example of documentation power comes from the <seealsolist> tag near the bottom of the .xml file. One only needs to place additional object names here (e.g. “<seealso name=’korgnano’/>”) and links automatically appear in the reference documentation window, linking to your objects’ help files. This is handy here, as I want to link the korgnano object and the korgnano.inputmenu object together since these objects are symbiotic. The korgnano object grabs data from your Korg hardware controller and then sends the controller data direct to korgnano.inputmenu objects. Docs, Help, Media, Patchers. That’s it. A Max package that enables software listening for the Korg nanoKontrol, neatly bundled for distribution. Clear documentation files to help anyone navigate the tools, even me! when I revisit my tool a few months down the line. However, I do not need to distribute to reap the benefits. Clippings, templates, patchers, or even externals that I use often in my own work have a place within a Max package, easily searchable and documented so I have a working practice that is efficient and scalable. For anyone working in Max, packages offer a clean way to keep your sh** together. Packages also work with Max 7. While my example was built using Max 6.1, there is no reason why it shouldn’t work in Max 7. Email me if you have issues. Speaking of issues… if you’re having trouble with autocomplete, try creating a message object in a Max window with the text “; max db.reset”. This will refresh Max’s preferences, but may take 60 seconds+ to reload. Here’s the original forum post where I found this fix. Overwhelmed by pain, shock, or grief, these three actions demonstrate how we may lose control of our physical bodies, revealing just how fragile we are. Video documents performance at the International Computer Music Conference (ICMC) in Denton, TX on Sept. 29, 2015. All sounds are triggered and controlled using the Gametrak gaming device and Wacom Tablet. Great Speeches is a computer music composition for any laptop ensemble (10+ performers). The work may be used with any bank of audio samples, but these samples should be generated from a famous/great speech. The work was intended to be used with speech material from famous speeches and to be performed on the anniversary of the greet speech or commemorative occasion of that individual or event. Great Speeches is based upon pseudo-random number recall. The many witnesses of a famous speech have various perspectives and vantage points of that event. The work attempts to magnetize these seemingly random perspectives into a new viewpoint through which we can hear. New words, ideas, and rhythms are generated through the synthesis of multiplicity. The recording documents a Oct. 30, 2013 performance of the UVa MICE ensemble with 100 players using only their laptops and laptop speakers. Sound Pong is a real-time performance composition written in Kyma and Max/MSP for an electronic ensemble. The eight channel piece was co-written by Jon Bellona and Jeremy Schropp for OEDO (Oregon Electronic Device Orchestra). The video is a recording of Feb. 27th, 2011 premiere. Performers: Jeremy Schropp, Jon Bellona, Nathan Asman, and Simon Hutchinson. Kinect-Via- is a Max/MSP interface series for composers wanting to route and map user-tracking data from the XBox Kinect. 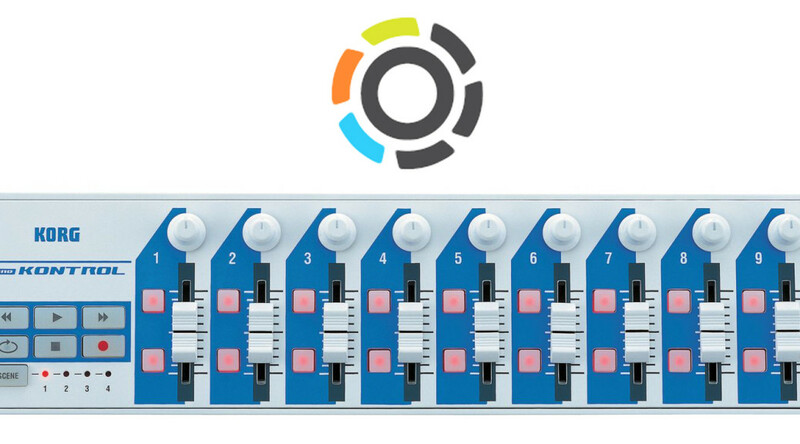 The interface series complements four different OpenNI applications, namely OSCeleton, Synapse, Processing’s simple-openni library, and Delicode’s NIMate. All Max/MSP interfaces communicate using OSC (Open Sound Control) messages and are performance-ready, meaning that all routing and system options may be changed in real time. The Kinect-Via- interfaces offer a tangible solution for anyone wishing to explore user tracking with the Kinect for creative application. The interface currently has over 1000 downloads globally. Note: Tested with Max 5 and OSX 10.6.8. Human Chimes. Human Chimes is an interactive public installation. Participating users become triggered sounds that interact with all other participating users inside the space. The Kinect mapping is using Kinect-Via-OSCeleton. The Beat. The Kinect user’s hand and head movements mapped to filters, and at times, hand gestures actuate sound. The Kinect mapping is using Kinect-Via-Synapse. “The Beat” is a composition by Nathan Asman. Juggling Music (Arthur Wagenaar). Playing music by juggling with glowballs! Demonstration of this new self made musical instrument, controlled by juggling. Also known (in Dutch) as ‘De Kleurwerper’. Commissioned for the 2011 Fringe Festival, The Goddess Re:membered is a site specific work and multimedia response to The Goddess, a classic Chinese silent film from 1934. The interactive installation is for video projection, IR camera, Max/MSP and Isadora software. Through public interactions of users inside the space, clues to distant memories are revealed through the triggering of color, sound, and video masks. Sonic Dog Tags is a set of compositions I composed using programs written in Python, Max/MSP/Jitter, and Processing. My programs retrieve biographical information of fallen service members from the Department of Defense RSS feed, map the information to musical parameters, and draw complementary visual sketches, collectively forming compositions unique to each service member. The above video explains the compostional process. For videos/compositions of the individual service members, please click on the links below. Tramaine J. Billingsley, Carlos A. Benitez, Rafael Martinez Jr.